“Chemtrails” was published by the US government again in 2000 in House Resolution, HR-2977, sponsored by Ohio Congressman, Dennis Kucinich where the term is defined as an “exotic weapon”. Far from being an internet rumor by so-called, conspiracy theorists, the term chemtrails is a military invention, bought and paid for by the American taxpayer who has earned the right to use the term to describe unusual jet contrail emissions released into the atmosphere by military aircraft as a possible “exotic weapon”. Since documentation and dictionary definitions available in 2014 are more than sufficient to define the term “Chemtrail”, there is no longer a rational reason that an unusual aircraft emission cannot be called a “chemtrail” in order to facilitate the distinction between the appearance of a normal vs. abnormal aircraft emission. Impromtu rule-making by a few prominent activists to stop using the term “chemtrails”, and replace it with “geoengineering” are misguided attempts to replace a “description” with a “process” that offers no appropriate substitute term for describing the unusual emissions (chemtrails). The effect of an edict to outlaw “chemtrails” serves more as a “gag order” to silence open discussion where “chemtrails” has been globally accepted as standard parlance in multiple languages throughout countries in both hemispheres. “Contrails tend to warm the Earth’s surface, similar to thin high clouds”. Finally there is no evidence in 2014, that internet filters have succeeded in scrubbing the term “chemtrails” from Google or other search engine requests. This video is one of hundreds that demonstrate the sober reality of covert aerosol spraying. The use of a high quality camera capable of astronomical magnification reveals too much to be denied. This video was submitted to Climatologist, Tim Ball – author of the book: The Deliberate Corruption of Climate Science following Dr. Ball’s visit to ChemtrailsPlanet.net to suggest I review his book. The stunning revelations in Ball’s book indicates his interest in climate corruption that extends into the highly trolled and covert operation of aerosol geoengineering. The issue of chemtrails vs. contrails is explained in this simple demonstration that compares the emissions from two similar aircraft traveling at approximately the same altitude. The normal water vapor conversion to ice crystals creates a contrail that keeps up with the speed of the aircraft while the chemical aerosol trail (chemtrail) exhibits an unnatural “persistence” that stretches out towards the horizon. Former USDA inspector, Rosalind Peterson speaks to an audience at a 2007 United Nations Global Warming session. Peterson’s information is solid for covert aerosol engineering but completely ignored by the IPCC and their corrupt scientific process as Dr. Tim Ball reveals in his book (above). Retired government scientist, Cliff Carnicom began publishing technical reports of unusual aerosol emissions over the area of Santa Fe New Mexico in 1999. In 2005, Cliff produced what continues to be the most important video documentary, “Aerosol Crimes”, The content is exhaustive and covers all aspects of chemtrails including implications of electromagnetic, atmospheric conduction, weather modification and discovery of bio-engineered “filaments” associated with chemtrail aerosols sprayed from aircraft..
Cliff’s website at CarnicomInstitute contains many reports on aerosol observations and analysis through May 17, 2007, after which Cliff’s focus turned almost exclusively to research on the cross-domain bacteria (CDB), dessicated red blood cells and Morgellons syndrome – all associated with the covert aerosol geoengineering operation – aka “Chemtrails”. Carnicom’s list of publications begins with the 1994 Senate testimony from Dr. Leaonard Cole who testified to the long history of uncontrolled, open-air military experiments using biological and chemical warfare agents sprayed across the United States where millions of people were exposed to toxins and weaponized microbes. Much of the testimony is included in Dr. Cole’s book: “Clouds of Secrecy: The Army’s Germ Warfare Tests Over Populated Areas”, published in 1989 – just as the “Chemtrails” manual was being readied for printing for the Air Force Academy pilot training program in 1990. The Gulf War in 1990 under Bush 41, in addition to the first Air Force Academy edition of “chemtrails was also a hallmark year for Global Warming/Climate change with the IPCC’s release of the CLIMATE CHANGE – The IPCC Scientific Assessment, (PDF). Elana M. Freeland’s startling book sifts through the confusion surrounding chemtrails versus contrails and how extreme weather is being “geoengineered” to enrich disaster capitalists and intimidate nations. Freeland’s provides a deconstruction of Bernard J. Eastlund’s HAARP patents that point to other covert agendas, such as a global Smart Grid infrastructure that enables access to every body and brain on Earth, a “Transhumanist” future that erases lines between human and machine, and Nanobiological hybrids armed with microprocessers that infest and harm human bodies. Ben Davidson, Space weather expert and polymath at Suspicious 0bervers dissects the IPCC report to reveal a blatently biased approach that continues to ignore fluctuations in solar cycles, space energies, geological changes and “unknown-unknowns” [chemtrails], to un-scientifically restrict analysis of climate change, exclusively to man-made causes centered around geenhouse gas releases during the so-called “industrial revolution”. It must be considered that continued aerosol spraying of alien biology could result in mass extinctions – including homo sapiens. Let’s be clear – Cross-domain bacteria (CDB) engineered by man or extra-terrestrial is an “Alien Biology” of mass destruction capable of simultaneously contaminating many terrestrial plant and animal species with threat of extinction. We only need to review the history of Monsanto and the related demise of BEE colonies and other species to realize how the natural world is no longer sustainable to the profit satisfaction of the psychopathic Oligarchy. Spraying the skies with chemicals and alien biology is merely another way of increasing profits in a Ponzi economy. Despite Carnicom’s 2007 published work establishing bio-engineered, cross-domain life forms are a product of chemtrails, today’s most prominent geoengneering activist websites rarely make reference to the mammoth public health issues that are arguably more dire than the current hysteria over heavy metals, ozone depletion, climate modification, floods, droughts, and concerns of arctic methane releases. GEOENGINEERING and BIOENGINEERING: The Unmistakeable Link – Cliff Carnicom’s presentation at the 2011 Consciousness Beyond Chemtrails Conference..
Former government scientist, Cliff Carnicom’s 2005 documentary, AEROSOL CRIMES continues to provide the most complete description of the destructive assault and terrorism of aerosol bioengineering and geoengineering now contaminating the global environment with increasing consequences to public health and planetary sustainability. In 2006, Dr. Randy Wymore’s research into “Morgellons Syndrome” revealed unusual fibers and skin lesions could not have been delusional parasitosis The CDC was involved for a while but ultimately engineered a coverup when Dr. Wymore’s research began to agree with Cliff Carnicom’s findings on cross-domain, bio-engineered microbes. Cross-domain bacteria (CDB) are “alien” pathogens deliberately bio-engineered and introduced into the global environment as a New Biology not found in nature. bio-engineered CDB exhibit properties of all three basic domains of life on earth: bacteria, archaea, and eukaryote. Sofia Smallstorm’s excellent presentation of cross-domain life forms, motives and consequences – From Chemtrails to Pseudo Life – The Dark Agenda of Synthetic Biology. Molecular Biologist, Bonnie Bassler explains how self-replicating bacteria “talk” to each other in a process called “quorum sensing” where molecular releases provide intra-cellular communication that can trigger pathogenicity (toxins) when their numbers grow to sufficient mass inside the human body, for example. Overview of the Three Domains in the “Natural” World. 1) The archaea domain CDB features exhibit extreme resistance to destruction by heat and acidic compounds. Pyrolobus fumarii, which holds the upper temperature limit for life at 113 °C (235 °F) and was found living in hydrothermal vents; species of Picrophilus, which were isolated from acidic soils in Japan and are the most acid-tolerant organisms known—capable of growth at around pH 0; and the methanogens, which produce methane gas as a metabolic by-product and are found in anaerobic environments, such as in marshes, hot springs, and the guts of animals, including humans. 2) The eukaryote domain. CDB features are fungal organisms that includes microorganisms such as yeasts and molds as well as the more familiar mushrooms. These organisms are classified as a kingdom, Fungi, which is separate from plants, animals, protists, and bacteria. 3) The Bacterium domain CDB features include any of a group of microscopic single-celled organisms that live in enormous numbers in almost every environment on Earth, from deep-sea vents to deep below Earth’s surface to the digestive tracts of humans. “I state clearly again that the pathogenic forms under investigation are repeatedly showing up in the general population, regardless of whether certain “skin anomalies” [Morgellons] are present or not.” . These sub-micron sized filaments are engineered, synthetic life-forms most famously associated with “Morgellons syndrome.” – an insidious systemic disease that manifests in a small percentage of victims as bizarre skin lesions where fibers are mysteriously manufactured inside the body before erupting through the skin. The vast majority of victims infected with CDB may manifest no skin lesions or apparent symptoms. The Carnicom group, however, has devised a simple test to determine if victims who have not yet exhibited Morgellons skin lesions have actually been infected with CDB without knowing it. The shocking results indicate that every asymptomatic volunteer who submitted to the astringent “wine test” was found to be infected with the CDB when expectorant samples were examined under microscopy. Is this Alien Biology engineered by humans, extra-terrestrials or a synthesis of humans and extra-terrestrials? Is the covert agenda to infect the Global population and other natural Earth systems with Alien Biology? 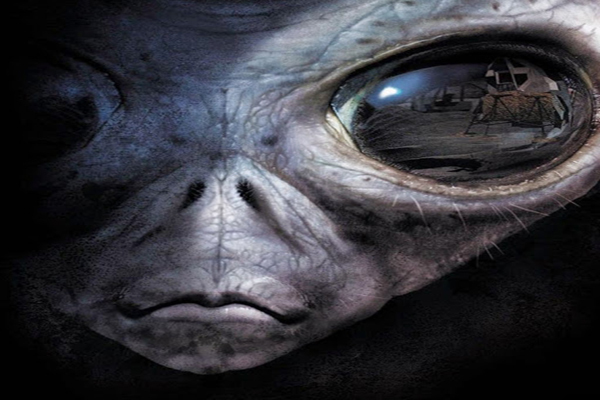 Is the Alien Biology an agenda of “Control”, Extermination or both? Is an undisclosed vaccine available to protect the perpetrators from being infected with the Alien Biology?